More and more Americans now say that cruelty toward chickens is something they can't stomach. According to a recent survey commissioned by the American Society for the Prevention of Cruelty to Animals (ASPCA), a vast majority of U.S. consumers think that the poultry on their plates should get there without suffering. More than 80 percent of the 1,009 participants in the survey said they feel it is important that the chickens they eat be raised in a humane way. Meanwhile, the survey also found that less than a third of respondents believe that meat processors are actually doing so - because typically they're not. Every year, nearly 9 billion chickens are raised to be slaughtered in the U.S., many of which are subjected to deplorable conditions, made to endure cramped cages, extreme temperatures, and numerous other stresses prior to being slaughtered. Matt Bershadker, president and CEO of the ASPCA, says that more people are catching on to the unsavory practices that take place on factory farms across the country - and that's the first step to putting an end to them. 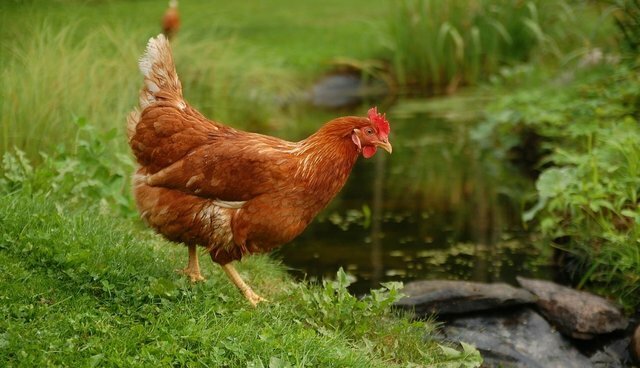 "Concern for farm animal welfare is increasing – Americans want to know the chicken they eat has been raised in a humane environment, both for the birds' sakes and for their own health," says Bershadker in a press release. "The more these concerns are raised, the closer we'll come to a time when farm animals are not abused, nor our health potentially imperiled, in the name of cheaper dinners and higher profits." The survey was commissioned as part of the ASPCA's new "Truth About Chicken" campaign, which aims to raise awareness about the conditions in which factory farm chickens are raised.